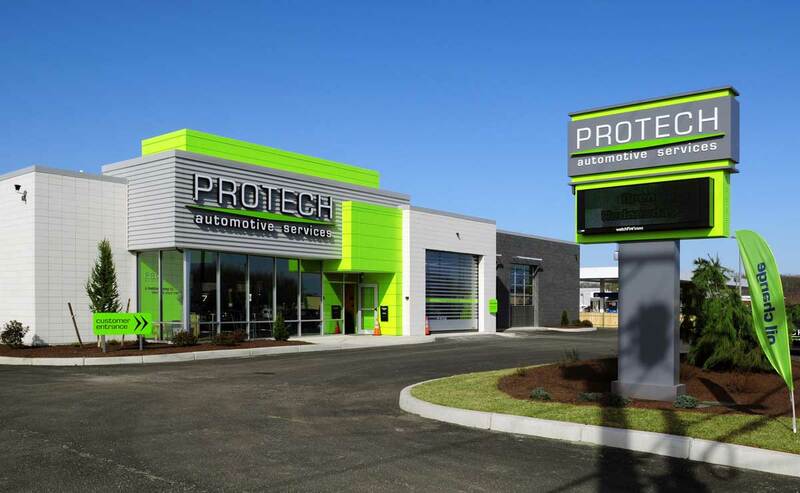 Vision 3 Architects worked closely with Protech to design a “green”, upscale automotive service facility for the company’s first location. 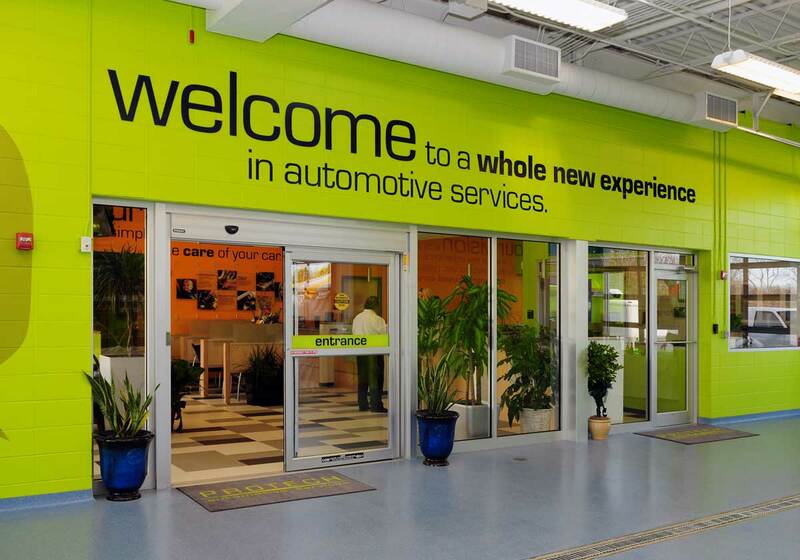 The entrance design features a high recycled content, aluminum metal panel system prefinished in the company’s signature neon green. 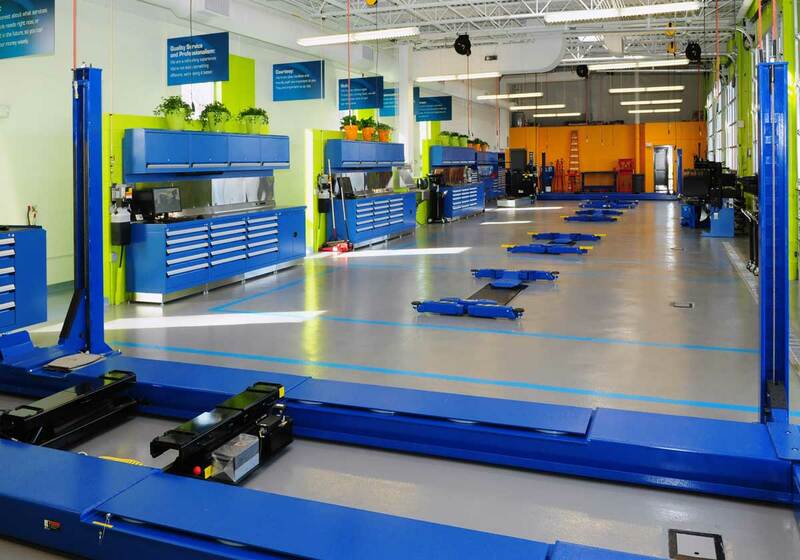 Running along the length of the building are six service bays with glass overhead doors. 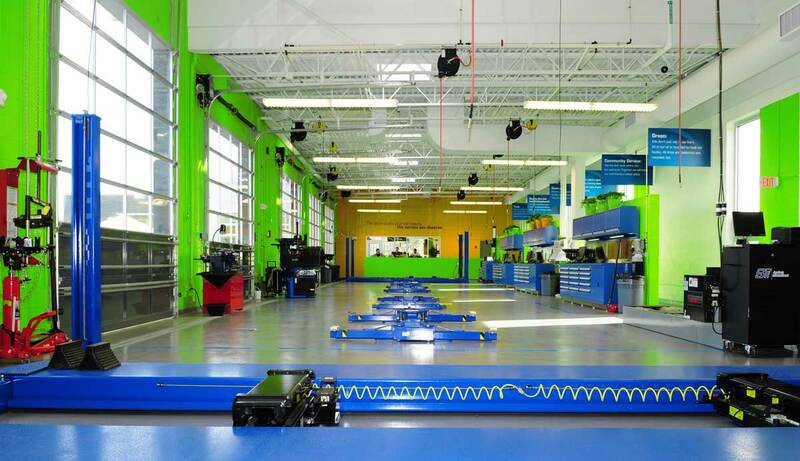 This, when combined with skylights above each service bay, provide ample natural light. Operable windows across from each overhead door allow for cross ventilation and passive cooling on mild days. A white thermoplastic polyolefin (TPO) roof was specified to reflect sunlight, and minimize the heat-island effect created by black roofs. Among the many sustainable design elements are energy saving light fixtures, a boiler that can be fueled by recycled waste oil, low-flow toilets and sensor operated water fixtures.